With Valentine's Day being tomorrow, I wanted to try and make a card that you could give to a close friend without all the pinks and reds of Valentine's Day. 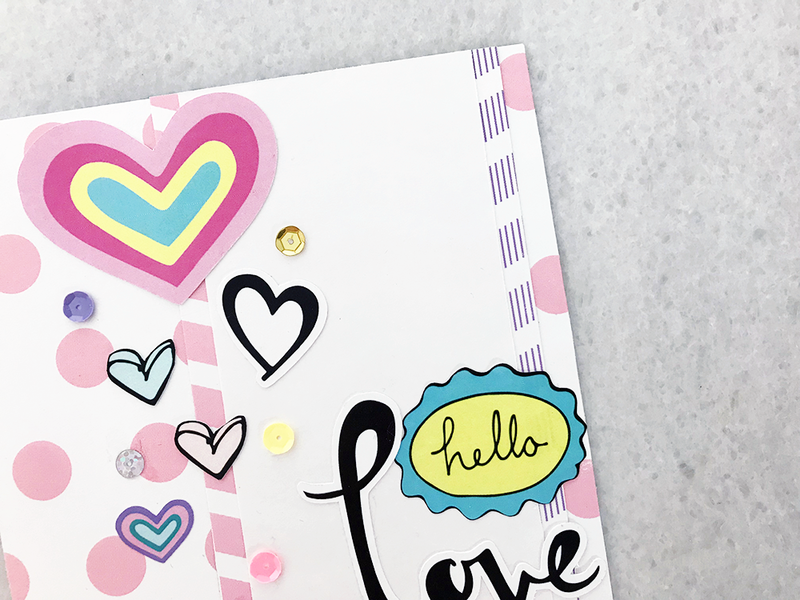 I dug into my Everyday Wishes kit and created a really fun card I can't wait to send to a friend! First up, I wanted to create a "landing strip" for everything. 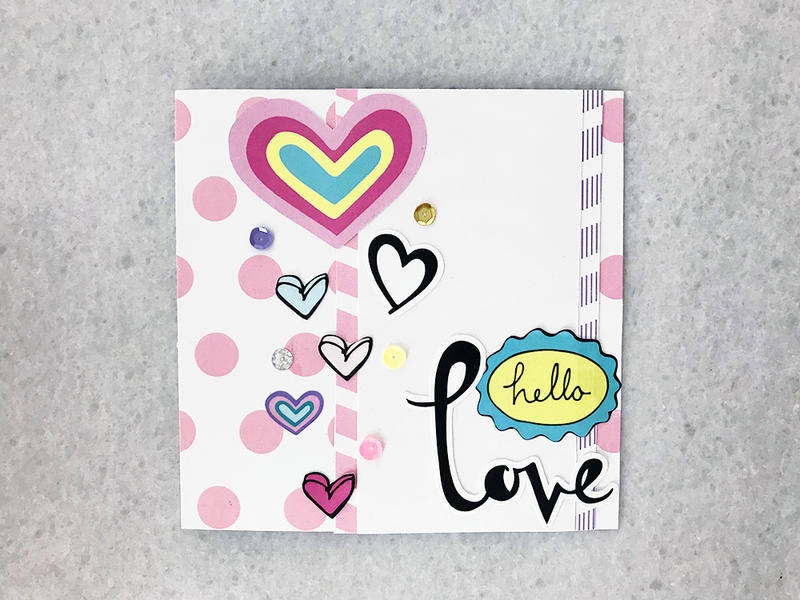 I did this by cutting the piece of pink polka dot cardstock down to a 5x10" strip and folding it in half to make a 5x5" square card. Next, I took the back of one of the personal size planner dividers, cut that down to 3x5" and adhered it down. Lastly, I took a 2.5x5" strip of plain white cardstock and started to build! First up was the sentiment! 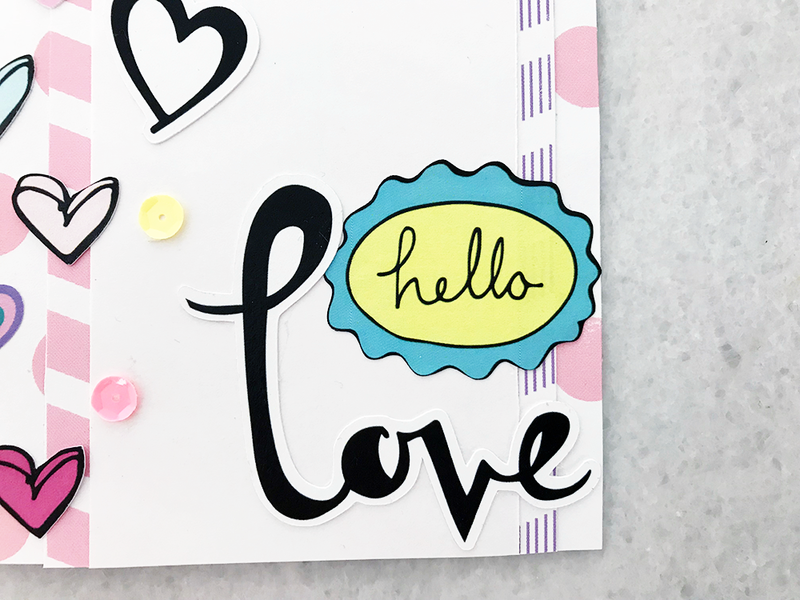 I grabbed the "hello" sticker from the sticker sheet and "love" from the word die cuts and put them in the bottom right corner with a bit of overlap. Then the fun part, decorating! I grabbed up a bunch of different heart shape die cuts from both the words and ephemera packs and laid them down. Then I filled in the rest with sequins because there's always room for sequins! So that's it, my quick and easy card to send love without those Valentine's Day colors. I hope you liked it and it inspired you in your own card making! Until next time, happy crafting!